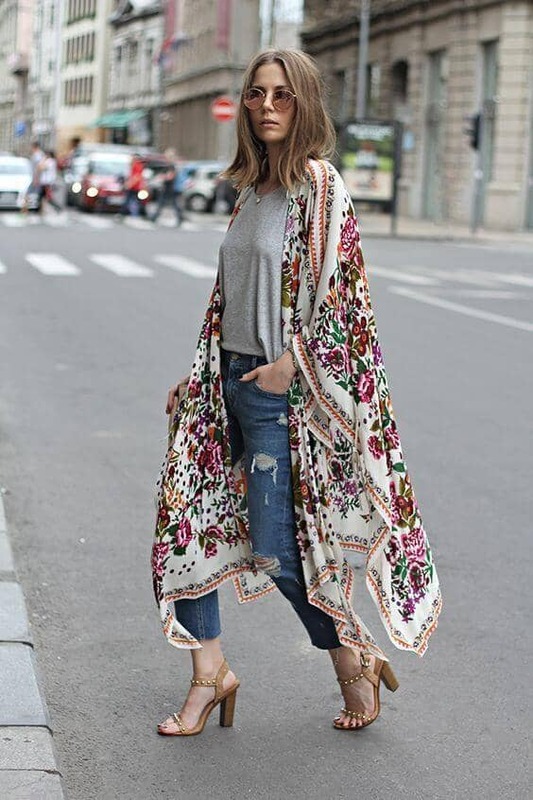 I loved wearing kimonos in the summer, on the one hang because I had brought them from Bali, which made me feel a bit special when wearing them, on the other hand because a kimono was an awesome accessory when activities lasted into the night, and as usual, we hung around at the bank of the Danube where the air was sometimes cooler than on the busy downtown streets. 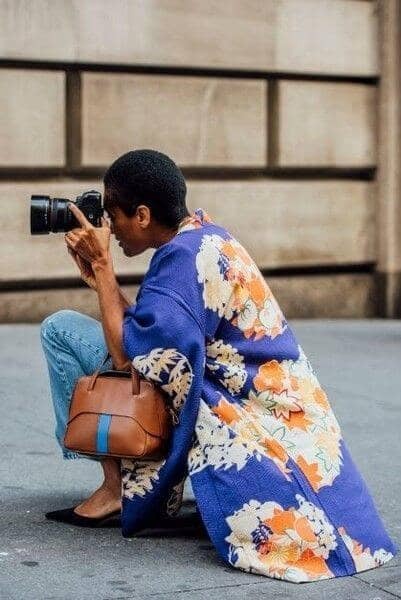 I love the colours of the kimonos, these garments are often flashy, cheerful, made of light material, and you can find an appropriate one to an outfit of virtually any style. 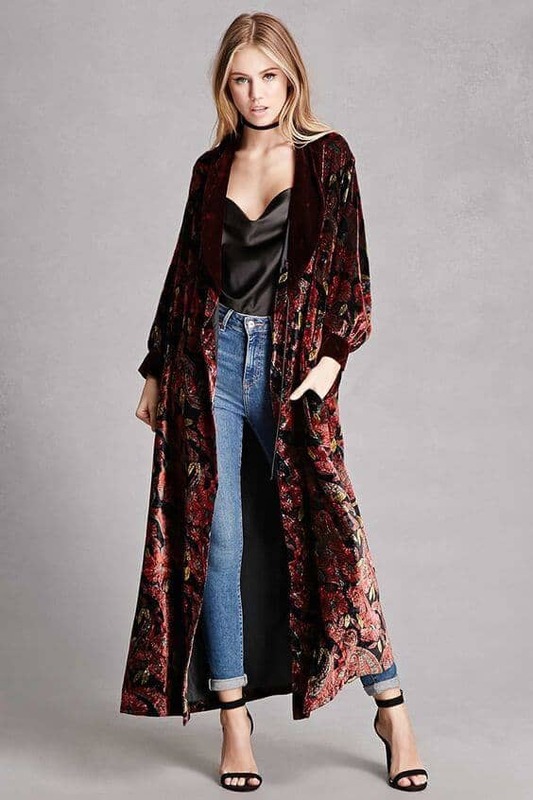 You can wear them with sneakers, jeans and a T-shirt or with a feminine dress, high heels, sandals, as well.With the advent of autumn, fortunately stores have introduced kimonos made of heavier fabrics more suitable for winter, for example this beauty from Zara. 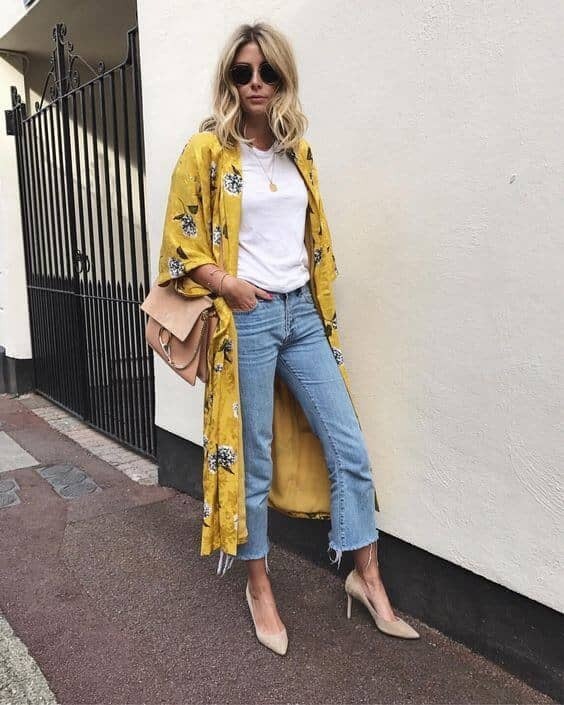 I mixed the styles a bit again, for the torn jeans and simple white top I chose a pair of more feminine platform sandals, balancing between being sporty and snazzy-in-high-heels. 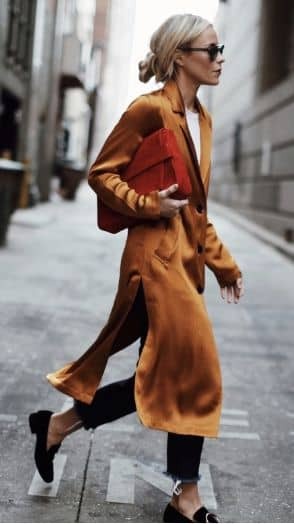 I have collected a few more that have given me much inspiration. 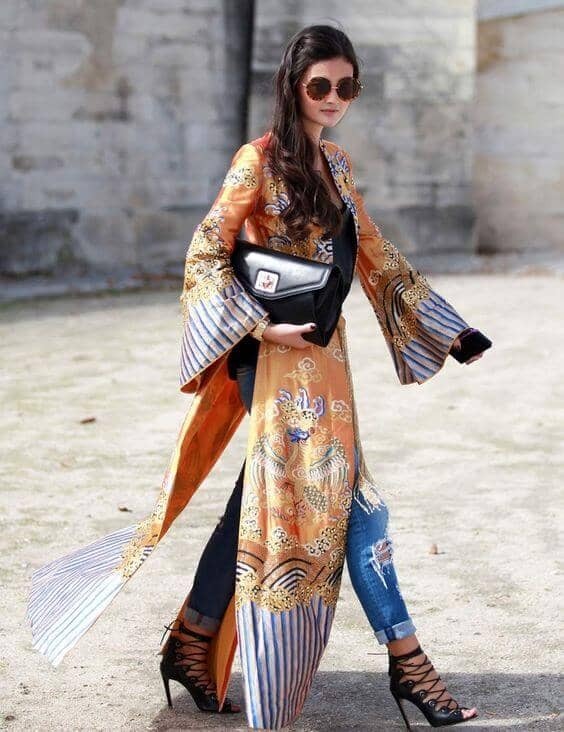 The eye catching kimono is a traditional Japanese garment that has been worn for centuries. 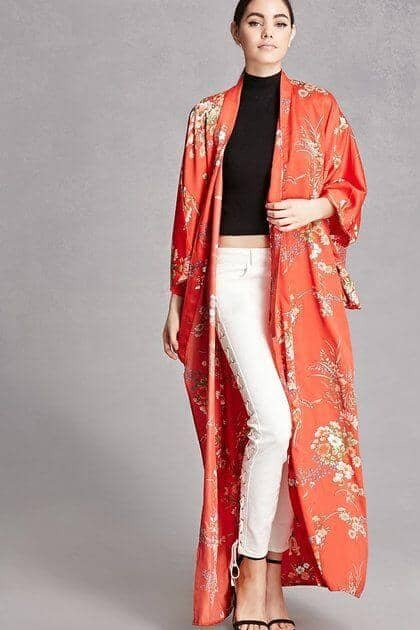 Loosely translated, kimono means “the thing to wear” in Japanese, and that has never been more true than it is today. 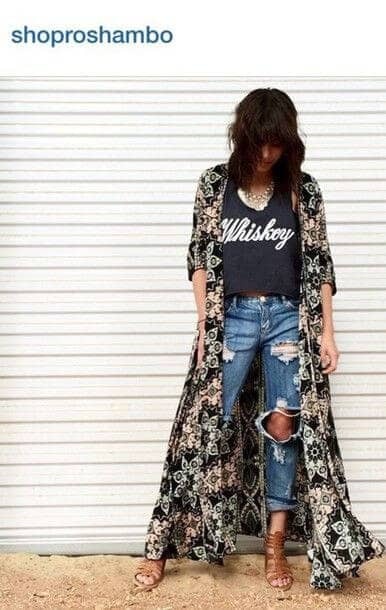 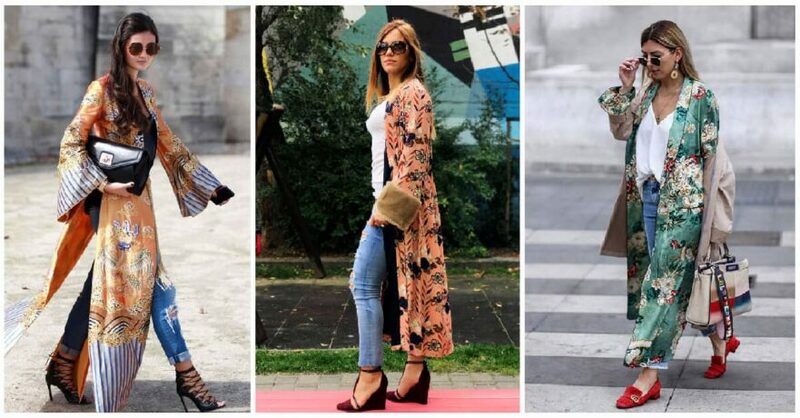 Long, flowy and comfortable, kimonos lend a delicate and feminine aspect to even the most basic of outfits. 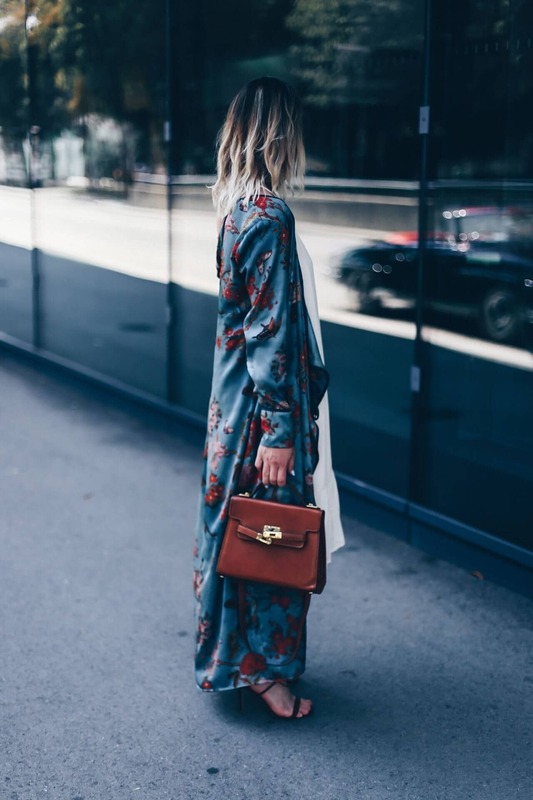 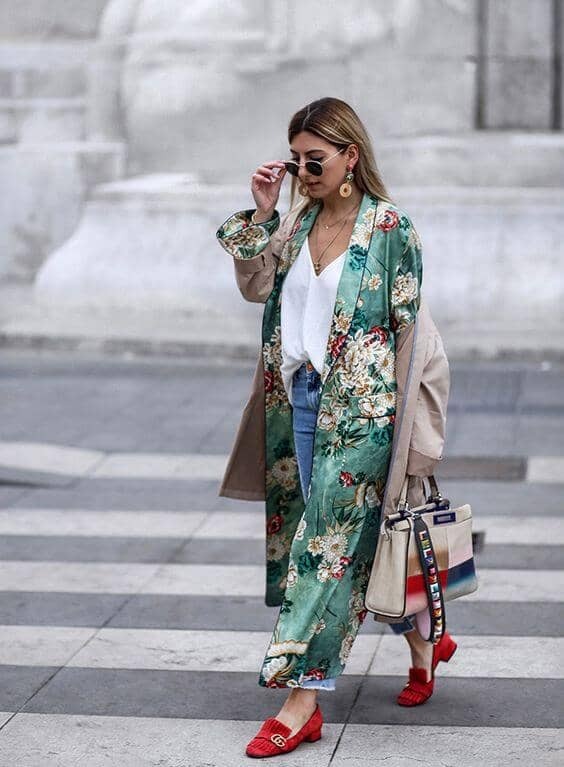 Whether paired with a swim suit or jeans, worn as a dress, or as a piece of outerwear, a kimono is sure to be the star of your outfit. 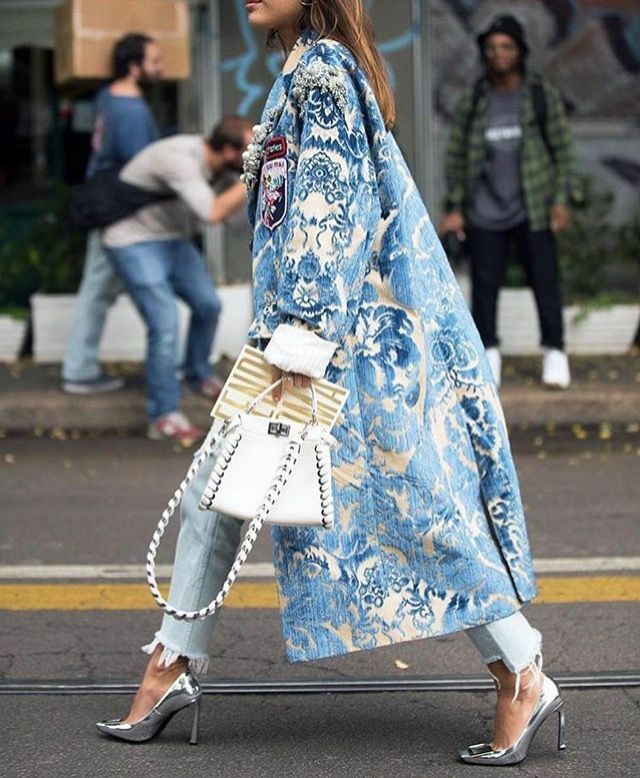 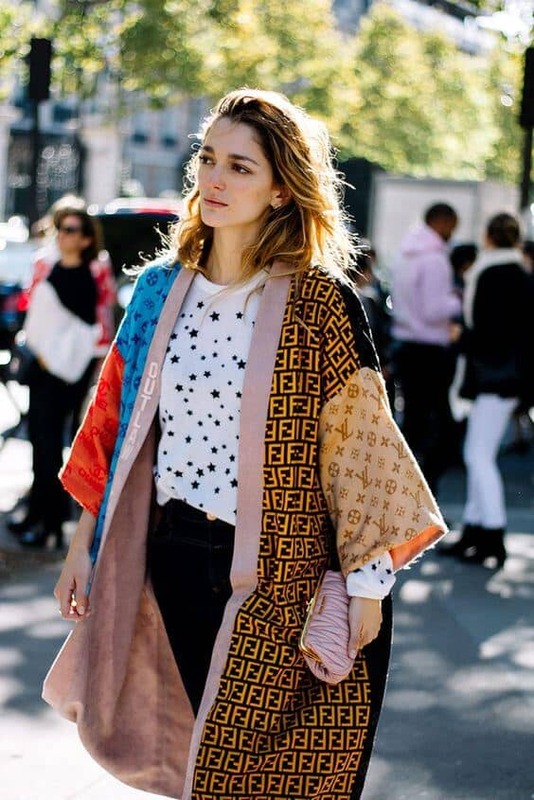 While traditional kimonos are readily available and perfect as is, there are a number of modern takes on the trend. 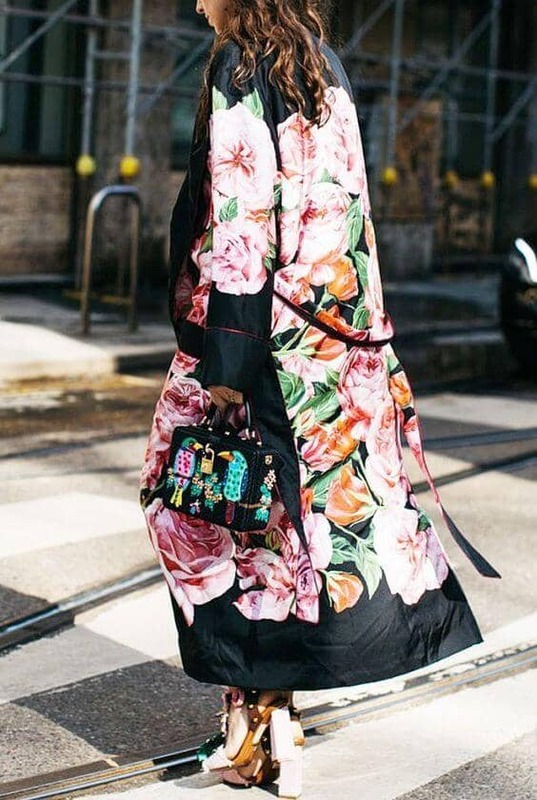 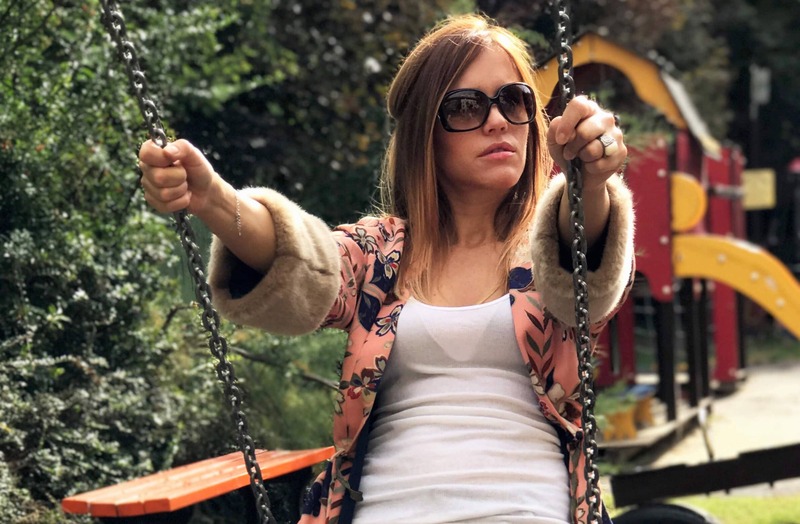 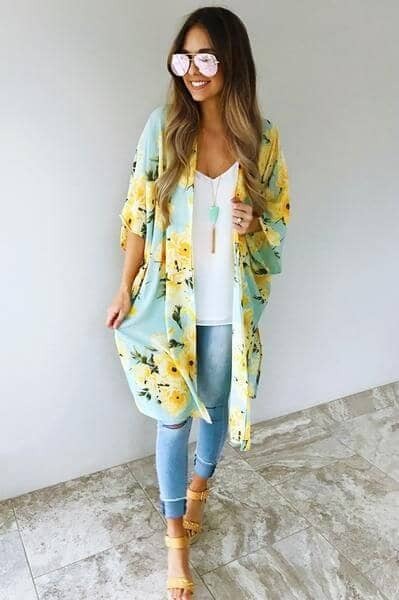 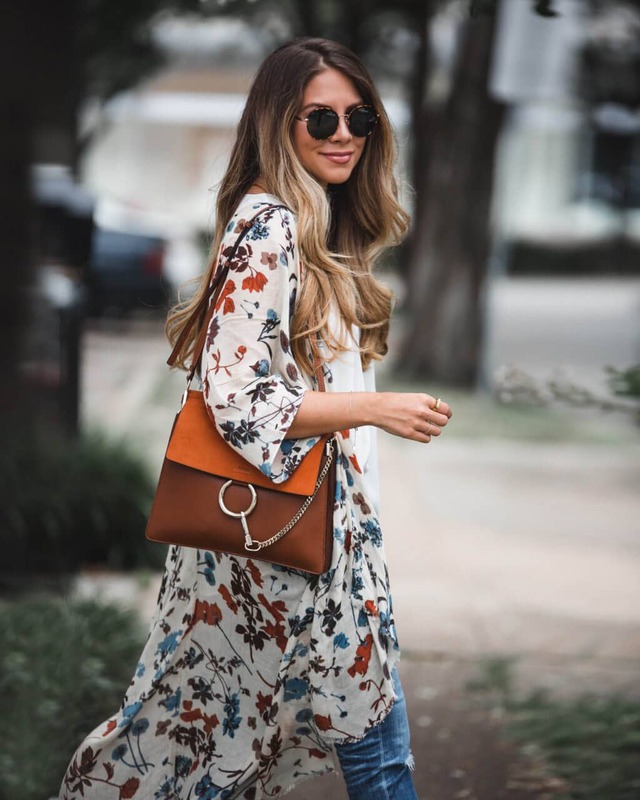 Kimonos are extremely versatile and can be purchased in a wide variety of styles, textures, and lengths, which pretty much guarantees you’ll find a kimono (or two or three) to complement your favorite outfit and satisfy your unique style.